The players are one of these managers, in charge of one of the Roman cities, all aiming to become a prosperous and important city, like Rome, the glorious capital. 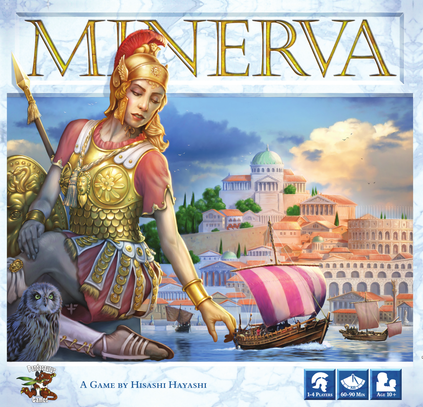 Only the player who develops his city best, will earn the favour of the goddess Minerva and win the game. The player who has the most Victory Points (VP) at the end of the game wins. that it is worthy of its temples. But all of this requires resources and gold. And only building impressive buildings won’t get anyone far without any inhabitants. The players will have to build living quarters so that the other buildings can have an effect.